Learn to take your animals’ pulse, temperature, count respirations, use a stethoscope to listen to heart, lungs, and digestive system. 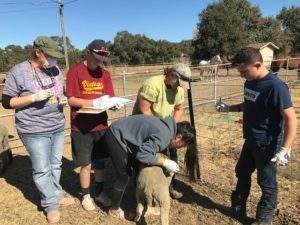 You can use these skills to become an active participant in your animals’ veterinary care and be more valuable on animal response teams. This course is open to the public and no charge.